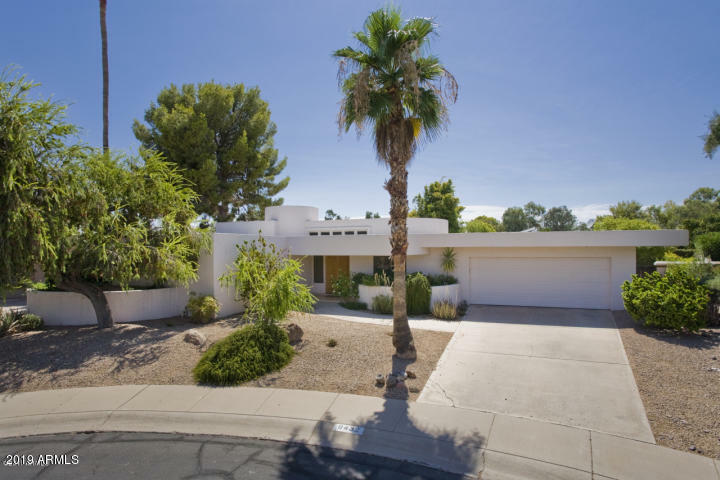 All MOUNTAIN VIEW EAST LOT 1- homes currently listed for sale in Scottsdale as of 04/23/2019 are shown below. You can change the search criteria at any time by pressing the 'Change Search' button below. "Welcome home to Mountain View East in McCormick Ranch, featuring the spirit of Frank Lloyd Wright and Taliesin. 3 beds and 3 baths compliment the open floor plan creating a welcoming living space. A bright beautiful kitchen opens up to the main space. The private master is an oasis featuring an en-suite with an oversized tub and designer tiled shower. An Arcadia door way leads to a resort style backyard with a large sparkling pool, surrounded by lots of green space. Enjoy the the flow of this h"